My wife and I were out shopping and she wanted to stop in Target. As I'm a full-grown adult the first place I went was to the toy section. 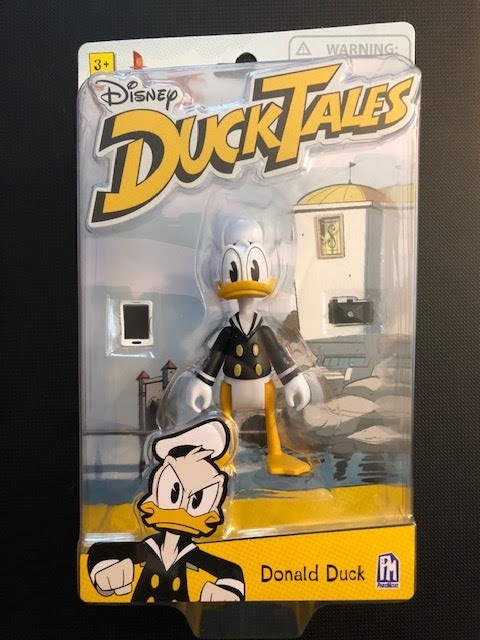 I was looking for a Darkwing Duck action figure for Funko's Disney Afternoon line when my eyes spotted Donald Duck. I decided to adopt him for $8.99 and away we went. This Donald Duck action figure is based upon the new DuckTales cartoon by Disney, if you haven't seen it I suggest you give it a try as it's great. 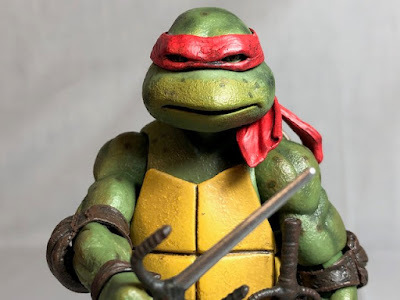 This line is by a company called PhatMojo which is a company I'm not aware of but I have to say they make a great action figure. 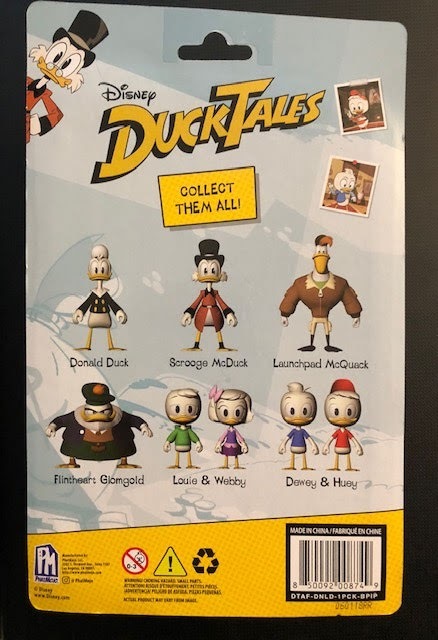 Besides Donald, you can also get Scrooge McDuck, Launchpad McQuack, Flintheart Glomgold, Huey, Dewey, Louie, and Webby. The adults are available separately but the kids come two to a pack. 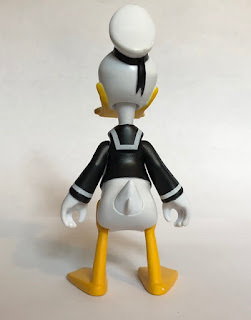 Donald has five points of articulation including his head which is on a ball joint, both arms, and both legs. This is the figures biggest drawback as Scrooge McDuck from the Funko line comes with eight points of articulation. Also because Donald is patterned off of his cartoon character his legs are pretty thin but because of it he looks like a great adaption of a 2D character into glorious 3D. As I mentioned above this action figure cost me $8.99 at Target, and these figures are exclusive to Target. 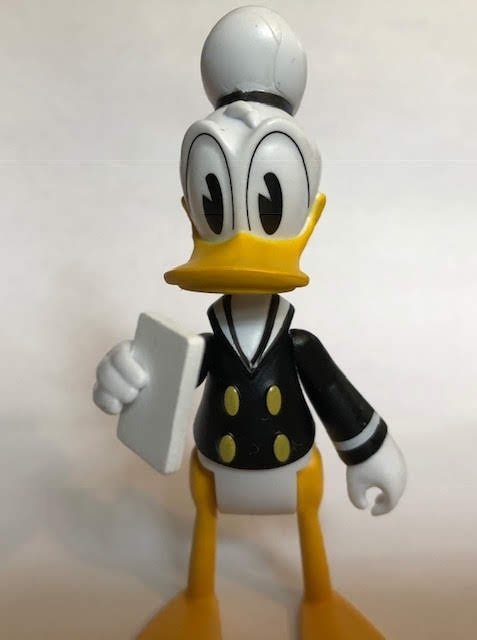 Donald also comes with accessories!! 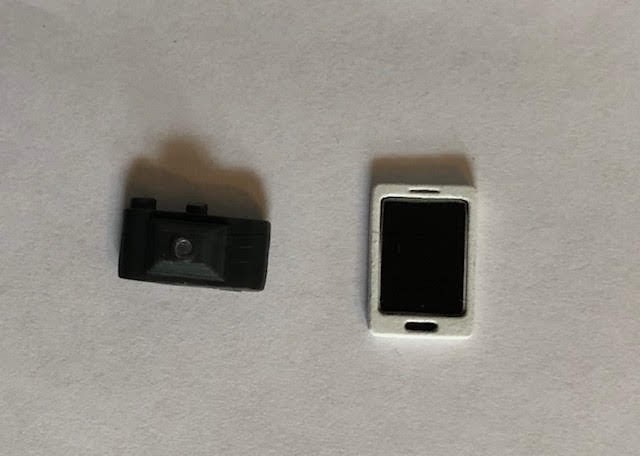 You get a cell phone and a camera. The phone is nice and fits in his hand well but I couldn't for the life of me get his camera to stay in his hand. 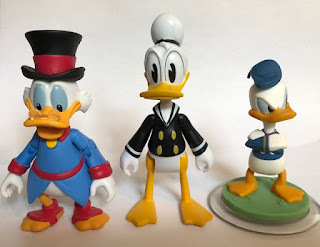 I took a picture of Donald with Scrooge McDuck and Donald Duck from Disney Infinity. The DuckTales Donald is much taller than the Disney Infinity version but Donald and Scrooge are pretty close in height. 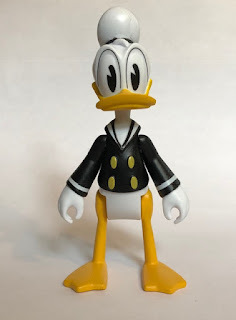 Overall I'm very happy with this version of Donald and I"m looking forward to collecting them all. 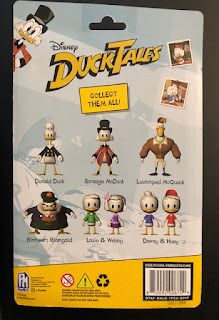 If you like action figures or ducks I can recommend these ducks for you. 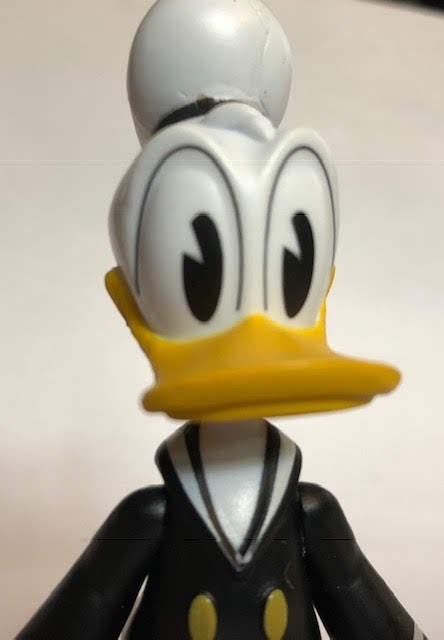 I give Donald a 7 out of 10.